You will find yourself in a dark cave, in order to see where your are, use the ‘Lumos’ spell to light up the area. Make your way up the path of cave until you reach a large light orb, walk into the light orb to light up the area. (Elphias Doge Character) – (Free Play Mode) Switch to a character with the ‘Pet’ ability (e.g. Hermione) and use the ‘Pet’ ability to dig up the chest which is submerged into the rocks. Press the A button to open the chest to gain the Elphias Doge Character token. (Wizards Hat) – Switch to Dumbledore’s character and head to the far left of the room. Use the ‘Deluminator’ ability on the lit light and light the light next to the gold gate to the right. The gold gate will open and you can gain the Wizards Hat. Stand to the right of the chest which is sticking out of the ground and use the ‘Wingardium Leviosa (WL)’ spell to raise the stepping-stones in the water. Use the stepping-stones to get to the central platform. Note: You will need to jump on the stepping stone and raise the second one as quick as possible to get across to the central platform. (Minister Rufus Scrimgeour Character) – When on the central platform use the ‘WL’ spell on the bell pieces to put it together. Shoot the bell and a bat will fly down with a character token, shoot the bat and collect the Minister Rufus Scrimgeour Character token. Use the ‘Deluminator’ ability on the light next to the bell to get the light. Use the ‘Wingardium Leviosa (WL)’ spell to raise the stepping-stones in the water. Use the stepping-stones to get to the far left platform. Note: You will need to jump on the stepping stone and raise the second one as quick as possible to get across to the far left platform. Use the ‘Deluminator’ ability to put the light in the light to the right of the gold gate. The gate will open and you’ll see a red wall, stand on the red glow on the floor and press the A button. Use the directional buttons to cut the circle out of the wall and use the ‘WL’ spell on the pieces that fall from the wall. Use the ‘Deluminator’ ability to get the light again and stand in the middle of the red ring that is created. Press and hold the A button to send you to another area and leave you standing in the middle of a ring circle. Use the ‘Deluminator’ ability again to put the light in the unlit light and get the light from the other light; this will put a handle on the crates so that you can make them in to stairs. At the top of switch your character to Harry and use the Parseltongue cabinet; this will open the other yellow ring. Use the ‘WL’ spell on the yellow ring to put it into place. Use the yellow rings to get back and forth between the two platforms and use the ‘Deluminator’ ability to move the lights to the three lights around the far left door on the lower platform. For the third light you will need to get the light from the one you lit to get the wizards hat; this will open the door and allow you to continue. You will find yourself in another dark cave, use the ‘Lumos’ spell to see where you are going and watch out for the gaps in the path. Make your way along the path until you get to another light orb again, this will light up the area. (Professor Flitwick Character) – (Free Play Mode) Head back over the bridge and you’ll see a gate with a character token behind it. Switch to a ‘Dark Magic’ character (e.g. Professor Umbridge) and use ‘Dark Magic’ to open the gate and gain the Professor Flitwick Character token. 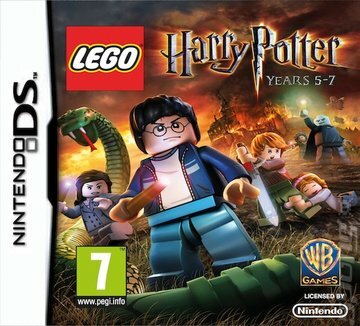 (Regenerate Hearts Red Brick – Part 1) – (Free Play Mode) Switch your character to Luna Lovegood and use the ‘Spectraspecs’ ability to reveal the pile of Lego bricks to the far left of the area; this will create a rock statue. Switch to a ‘Dark Magic’ character (e.g. Professor Umbridge) and use ‘Dark Magic’ to gain some studs. At the bottom of the ramp, use the ‘Reducto’ spell to brick up the rocks; this will reveal a temperature valve. Use the ‘WL’ spell on the valve to cut off the fire going across the path and proceed. (Wizards Hat) – (Free Play Mode) Switch your character to Hermione and use the ‘Pet’ ability to free the bag spot from the rocks. Use the bag spot to find a hammer and chisel and use the ‘WL’ spell to break up the rock to the left of the temperature valve. This will reveal a fountain with a Wizards Hat at the top of the water. Jump on the water to gain the Wizards Hat. (Regenerate Hearts Red Brick – Part 2) – (Free Play Mode) Switch your character to Luna Lovegood and use the ‘Spectraspecs’ to reveal the pile of bricks. Use the ‘WL’ spell on the bricks to build a second rock statue. Switch to a ‘Dark Magic’ character (e.g. Professor Umbridge) and use ‘Dark Magic’ to destroy the statue. Switch back to Luna Lovegood and do same again with the pile of bricks to the far right of the area to gain the Regenerate Hearts Red Brick. Switch your character to Dumbledore and use the ‘Deluminator’ ability to move the light to the far right to the light above the devils snare vines. (Wizards Hat) – Shoot the two skeletons to gain a Wizards Hat. Make your way up the ladder and use the ‘WL’ spell on the snake. Then use the ‘Reducto’ spell on the snake to destroy it and press and hold the A button to pull on the handles on the column. Shoot the two skeletons to get the key which the skeleton swallowed and place it in the boat pulley. Press and hold the A button on the boat pulley to get the boat and jump on the boat to continue. Use the ‘Lumos’ spell to see your way and head to the right to get the light orb to light up the area. (Unlocked 5 Characters) – To the south of the fountain in middle of the area, shoot the rocks and you’ll find the Unlock 5 Characters token; it is difficult to describe where the rock is because the camera moves around. (Wizards Hat) – (Free Play Mode) To the right of one of the lamps you’ll see a semi-transparent Wizards Hat. Switch your character to Luna Lovegood and use the ‘Spectraspecs’ ability to gain the Wizards Hat. In this area you need to collect three gold goblets and drink away all of the cursed water to get the horecrux. This is pretty self-explanatory, use Dumbledore to move the light to get the gold goblins and fill them up with the fountain in the middle of the area. If you wish me to write this section step by step I will do that on request. At this point you will watch a rather long cut screen but don’t be fooled this isn’t the end of the chapter. You’ll find yourself in a fiery cave, make your way up the path and jump over the fiery logs as the roll down the hill. After the cut scene kill the death eaters and collect the coins around the area. (Argus Filtch Character) – To the top-left of the area you’ll see an arrow made out of coins, collect the coins to reveal the Argus Filch Character token. Use the ‘Diffindo’ spell on the red wall at the top-left of the area and then use the ‘WL’ spell on the Lego bricks that came from the wall to create a barrel to break through the fiery barrier. Make your way down the newly opened path, Bellatrix Lestrange will throw a pumpkin at you, use the ‘WL’ spell on the broken pumpkin and then use the ‘WL’ spell on the pumpkin again to attack Bellatrix Lestrange. (Professor Sinistra Character) – (Free Play Mode) Head to the where Bellatrix Lestrange was throwing pumpkins from, switch to a ‘Strength’ character and press and hold the A button to open the gate. Shoot the scarecrow in the centre of the area to gain the Professor Sinistra Character token. Use the ‘Reducto’ spell to kill the snakes and jump over the flaming logs and cross the bridge (where the coins are positioned). Use the ‘Reducto’ spell on the next two snakes and make your way down the path. You’ll then be entered into a duel with Snape at the bottom of the steps. Attempt to defeat Snape, I have been unable to defeat Snape so I’m not 100% sure whether it is possible. Either way, exit via the blue exit platform. This entry was posted in DS and 3DS, Games, Lego Harry Potter Years 5-7 on February 23, 2012 by Tasha.